Preheat oven to 350 degrees. 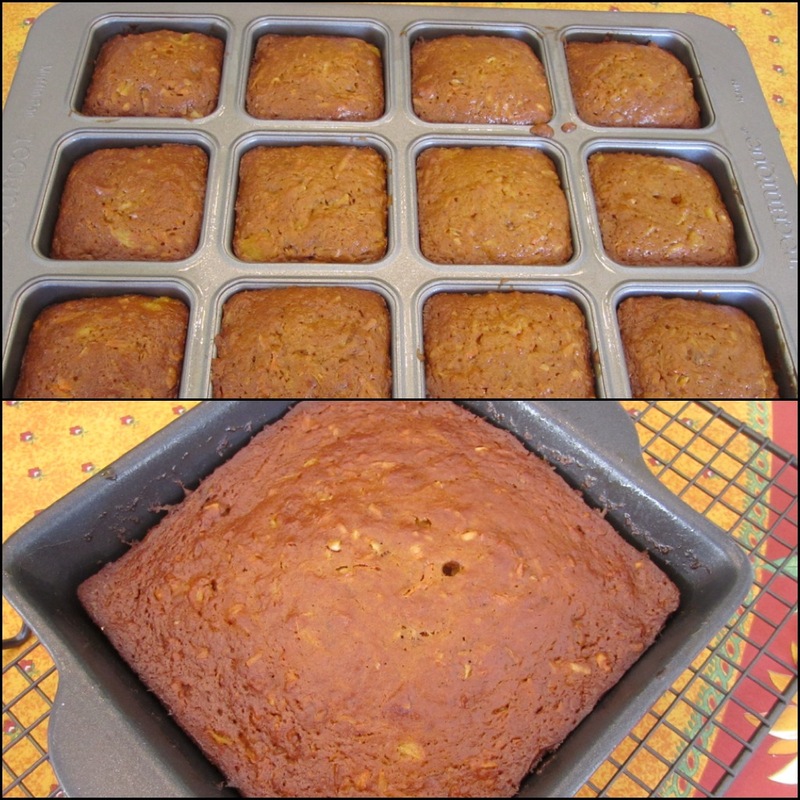 Spray with baking Pam either 9 inch round cake pans (if making layer cake), cupcake pan, or square single layer pan. Combine flour, baking soda, cinnamon and salt in a small bowl, set aside. Combine milk and lemon juice in bowl, it will appear curdled, set aside. 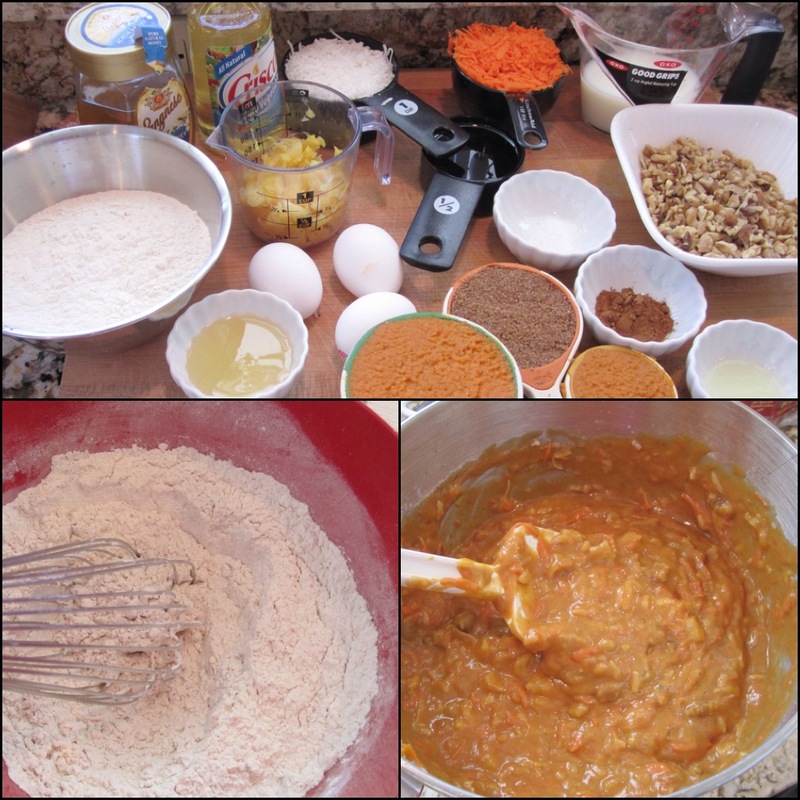 Beat eggs for a minute in your electric mixer, add pumpkin, sugar, brown sugar, honey, oil, pineapple, carrots and milk & lemon mixture and mix well with the mixer on low. Gradually add flour mixture, about a scoop at a time, beat until combined. Stir in coconut and 1 C of nuts (reserve other 1/2 C for toppings). Pour into prepared cake pans. Bake for 35 to 40 minutes or until wooden pick inserted in center comes out clean. Cool in pans, then remove cake to wire racks to cool completely. If using 2 – 9 inch pans, frost between layers, on sides and top of cake with cream cheese frosting. Garnish with remaining nuts. Store in refrigerator. 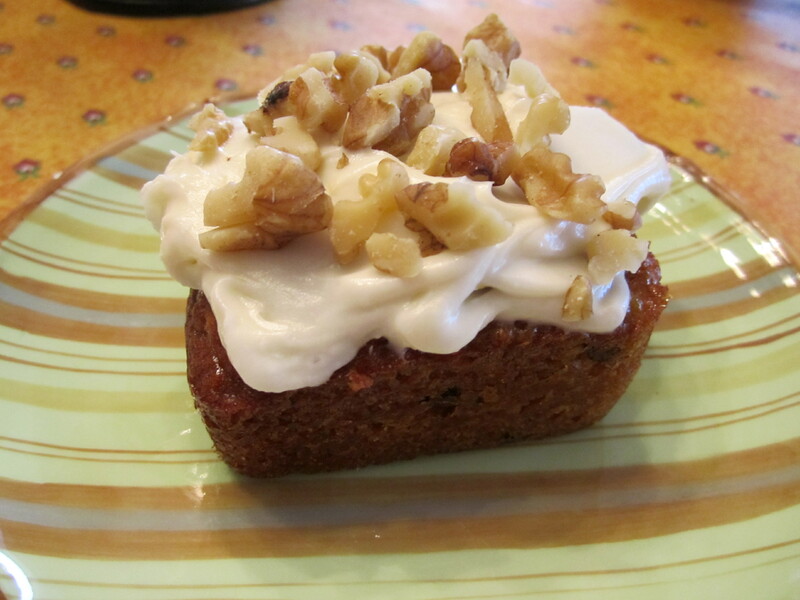 If using cupcakes, or single layer, just frost the tops with the cream cheese frosting and garnish with nuts. Note: Cupcakes will take less time in the oven, approximately 30 minutes. Have the cream cheese cold and the butter room temperature. 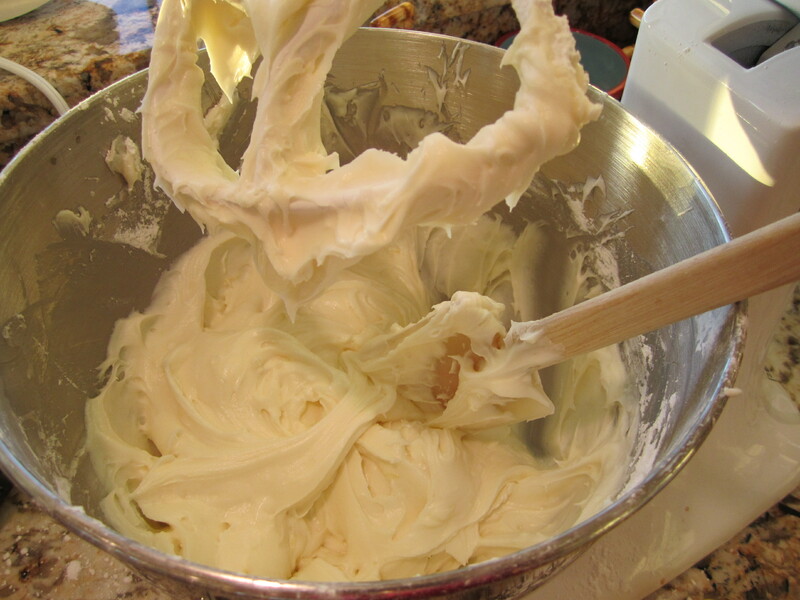 In a medium bowl, beat cream cheese, butter, and vanilla until blended. Add sugar one scoop at a time and beat until smooth. Do not over-beat. Add zest of lemon and blend. This keeps in the refrigerator for about 1 week, or freezes up to 3 months. Soften and stir until smooth before using. You can spread the cream cheese on the cake or use a pastry bag. Small cakes make a great little birthday presentation! 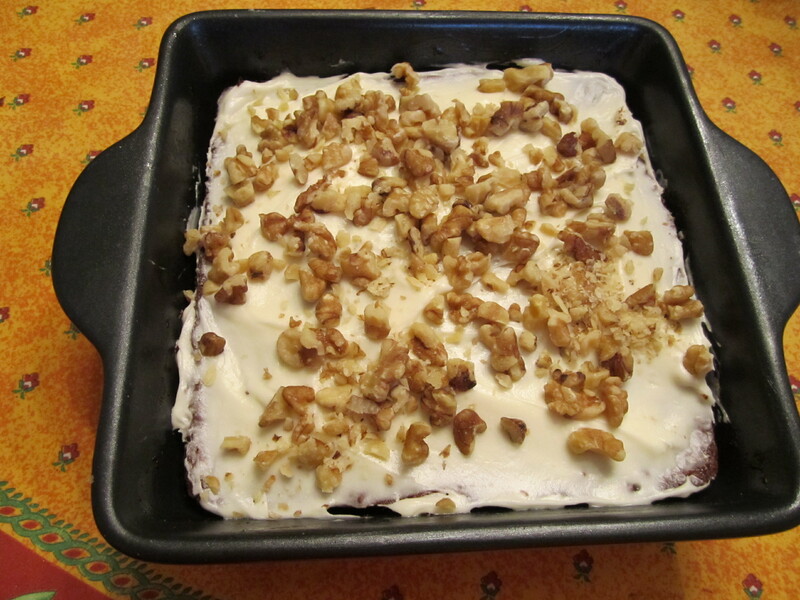 This entry was posted in Desserts and tagged Carrot cake, carrots, cream cheese frosting, Desserts, Food, PINEAPPLE, PUMPKIN, pumpkin cake, snack recipes. Bookmark the permalink. This cake is the best way to sneak some of these vegetables into my son’s eating habbits. He would love the taste and eat the vegetables too. Very clever! I’m giving my grandchild an extra piece! I hope you both enjoy the cake. This is calling my name! Awesome. A really good hot cup of coffee would be perfect with cake for me. Thanks Velva, they like it with milk around here! I hope you enjoy. Delicious.I need to make this soon.I came across your site from the foodieblogroll and I’d love to guide Foodista readers to your site. I hope you could add this Foodista widget at the end of this post so we could add you in our list of food bloggers who blogged about carrots, Thanks! Mary, you are incredible!! I love so many receipes!1 I’m getting ready for Thanksgiving with Nancy and Jim and will use several of yours! The Cranberry pecan French toast cassarole will work well with my Brunch Quiche. I bet you could spruce up a store bought (not that I buy them) pumpkin pie with the Almond Amaretto topping. Top that with my mother-in-law’s Brandied Whipped Cream ( add 2 T Brandy or Arametto? , powdered sugar to whipping cream, whip up and serve!) I’m making her Apple Mincemeat pie. Thanksgiving Blessings to you and yours! 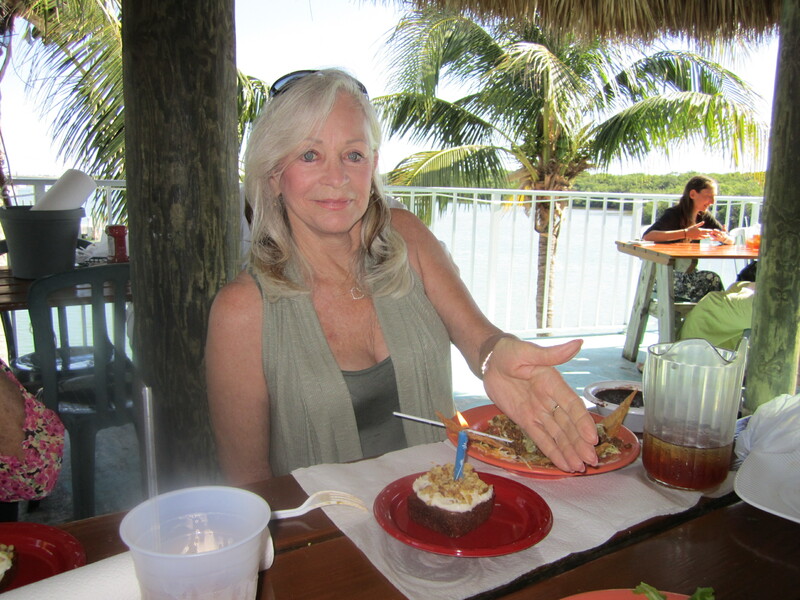 Thanks Cathy, I am so glad you are enjoying the blog! Your topping sounds great! Have a very Happy Thanksgiving!